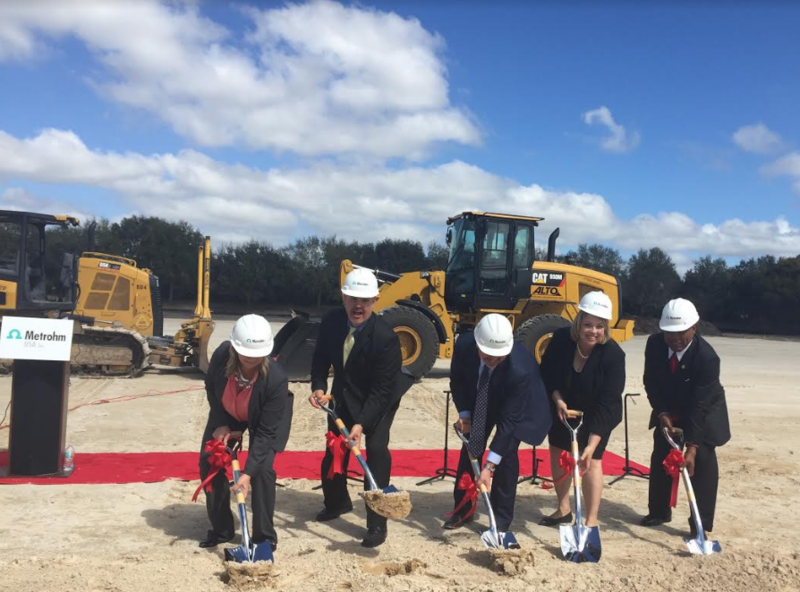 On February 24, 2017, Metrohm USA broke ground on its new North American headquarters located in Riverview, Florida. Scheduled to be completed in early 2018, this nearly $20 million dollar facility will boast state-of-the-art laboratory and training facilities for Metrohm’s growing employee and customer-base. Metrohm is one of the world’s most trusted manufacturers of high-precision instruments for chemical analysis. Founded in 1943 in Herisau, Switzerland, Metrohm operates in more than 80 countries with its own subsidiaries and exclusive distributors. Metrohm USA is Metrohm’s largest subsidiary, employing 250 people across the U.S., Canada and Mexico. In addition to its new headquarters in Florida, Metrohm USA is also moving the operations of its satellite office in Houston to a larger space and will open a new location in Southern California this year.